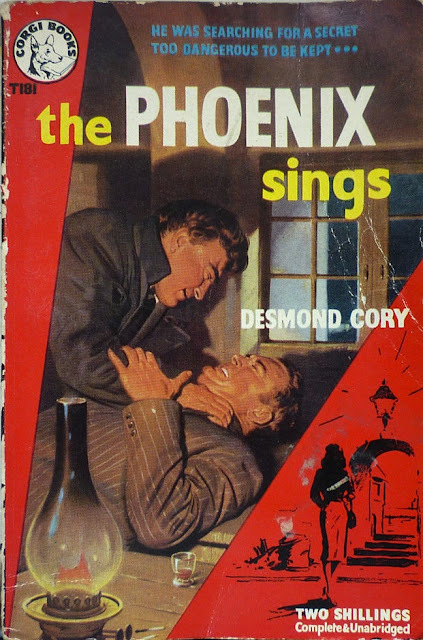 This is the Corgi paperback edition of The Phoenix Sings (cover art uncredited), published in the UK in 1956, a year after the Frederick Muller hardback. 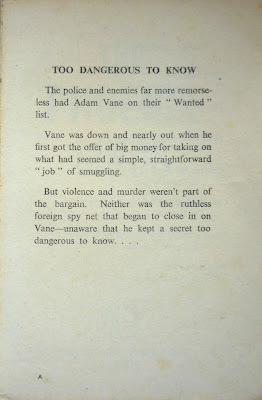 A standalone work, it's the first-person account of Adam Vane, a down-on-his-luck former British intelligence operative in Antwerp, who is recruited by a shady associate to smuggle diamonds to Amsterdam, consequently finding himself caught up in a deadly game of espionage. 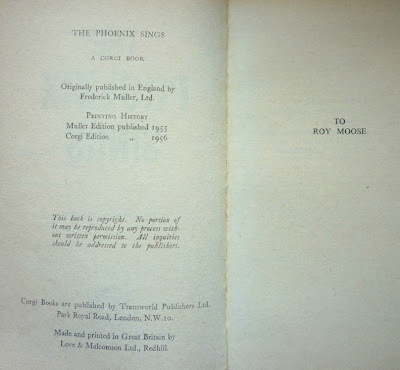 The official Desmond Cory Website has a little more about the novel here, including the fact that it was turned into a movie, Mark of the Phoenix, in 1958, directed by Maclean Rogers. 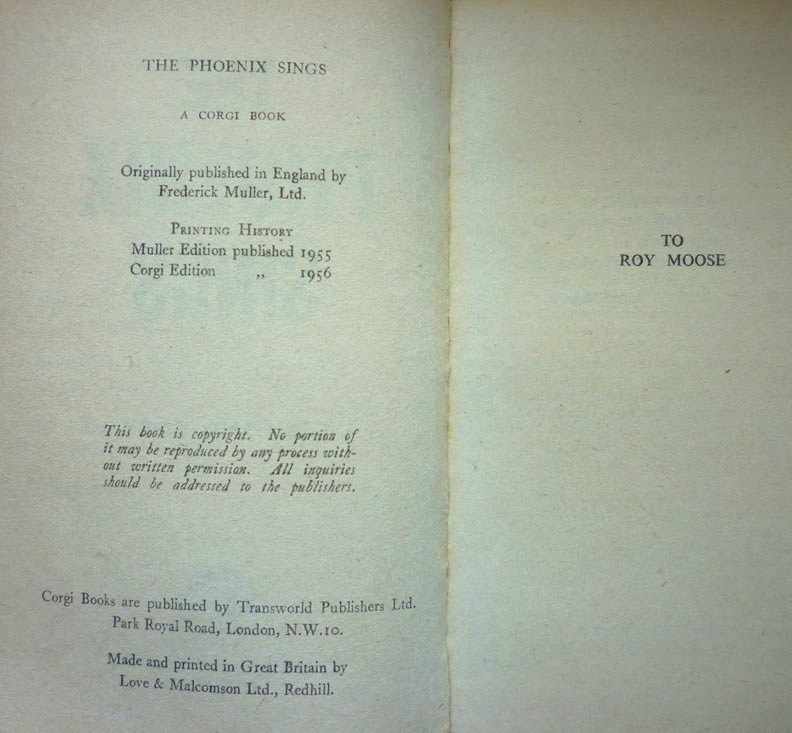 I spotted this copy on eBay and managed to nab it for £1.20 (plus postage, obviously, which took the total up to a staggering £2.35), which was quite the bargain, not least because The Phoenix Sings is virtually impossible to find in any edition; there is currently one copy of the Muller hardback on AbeBooks, but it's lacking a dustjacket, and there are no copies for sale whatsoever on Amazon Marketplace. See, as I mentioned in my initial Desmond Cory post in January, although Cory's novels are slowly being turned into ebooks, physical copies of many of his books are in decidedly short supply – with the honourable exception of the later Johnny Fedora novel Undertow, which is available as a print-on-demand paperback (and ebook) courtesy of Mike Ripley's Top Notch Thrillers imprint. Thanks for the additional insight into The Phoenix Sings! 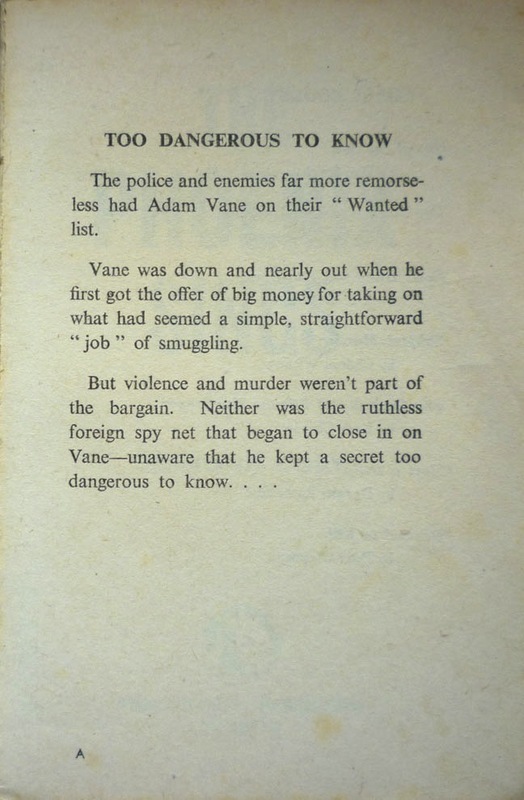 I certainly don't begrudge you your Muller first edition – my paperback'll do me fine – but if you'd be willing to take a picture of the jacket or scan it, I'd love to add it to the Beautiful British Book Jacket gallery. 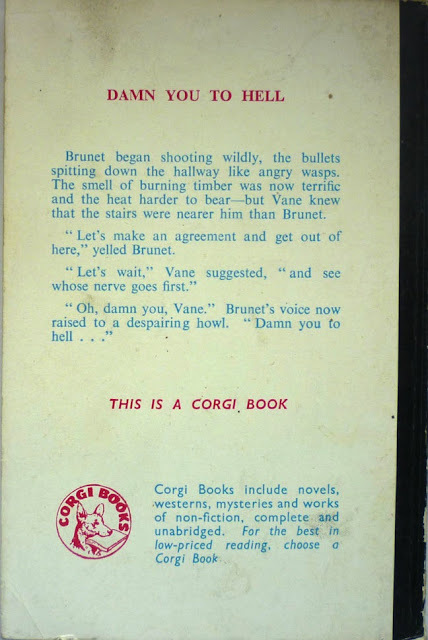 Drop me a line on existentialennui@gmail.com if so.